A podcast about people ― their passion, their stories, and their definition of hospitality. Is it empathy, compassion, kindness? Does it play a part in worlds that are not traditional hospitality spaces such as restaurants and hotels? 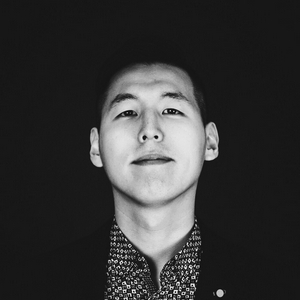 Discover sub-cultures with Arnold Byun, NYU hospitality grad and former restaurant manager. We believe there's always something new to learn, because ultimately, hospitality is about people and understanding where they come from. Alex's stage name "Cogito" is derived from Descartes' "cogito, ergo sum" ― "I think, therefore I am." Her approach to music and her life has been about logic and pragmatism. 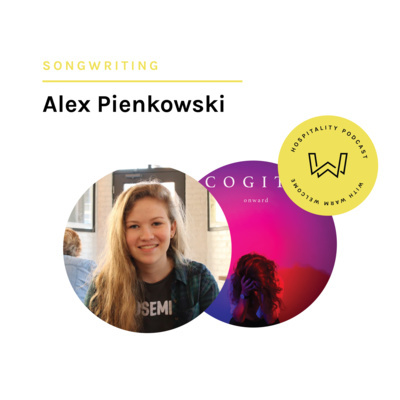 Growing up as a second-generation Polish child, Alex often faced challenges about her identity and early on found her love for music as a way of self-expression. As she devotes more time into writing and performing her music, we speak on her journey, her newfound doggedness in pursuing music, and at the end, why we choose to complicate choices rather than simply acting upon our initial instincts. 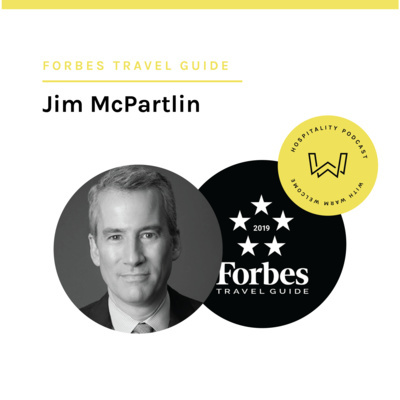 In the Spring season opener, we sit down with Jim McPartlin, VP of Leadership Development at Forbes Travel Guide. Forbes Travel Guide, which started in the 1950's as a mobile travel guide, is now a standard bearer for luxury in the hotel and spa industry. Over 900 standards are implemented when inspecting these luxurious properties across the world. McPartlin has worked for the most legendary hoteliers: Bill Kimpton (Kimpton Hotels), Barry Sternlicht (Starwood, 1 Hotels, Baccarat), Ian Schrager (Morgans Hotel Group, PUBLIC, EDITION), Andre Balazs (The Standard, Chiltern Firehouse, Chateau Marmont), and Jonathan Tisch (Loews Hotels). We speak on his storied experiences, trends and technology in travel, the romance of hotels, and the winning formula in a five-star property. 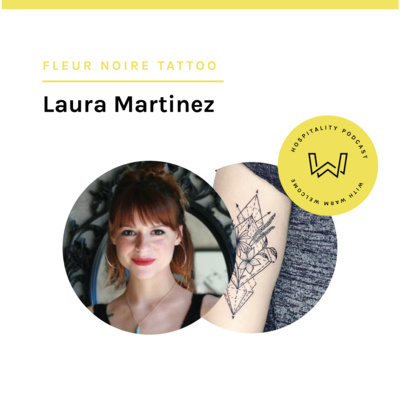 From birth, tattoo artist Laura Martinez displayed artistic mannerisms and hobbies. She followed her dream in Paris, studying the scope of the arts until setting on a specialization in product design. Upon a serendipitous time spent in Madagascar, an endearment for African artistry and tribal tattoos soon became her calling. We speak about tattoo culture, the implication of inking, and how the relationship she builds with her client is grounded in hospitality. Americans use 500 million plastic straws a day. 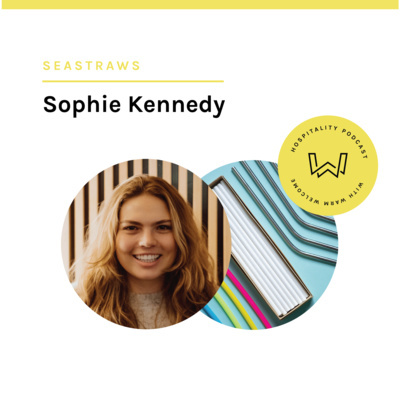 Sophie and Seastraws aims to push the movement towards a plastic-free world forward, one paper straw at a time. From an early age, Sophie learned to engage with the environment around her: spending time in coral reefs, the now infamous Pig Beach, and the Exumas. Along the way, she would pick up plastics on the beach leading to a newfound passion for marine biology and sustainability. Inspired by a trip to India, her senior thesis project involved creating a plastic raft with trash that she'd discover on her campus. Her bold statement captured on video would win multiple awards and lead to heavy involvement in marine non-profits. 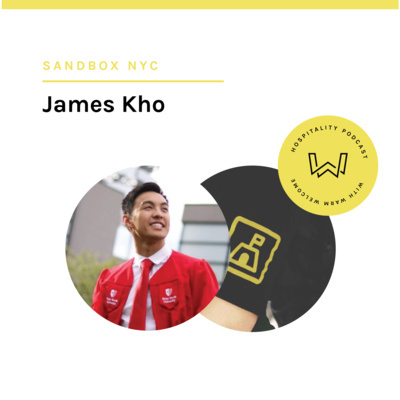 We speak on challenges of being a young entrepreneur, the life-cycle of a plastic straw, and simple instant fixes you can make to help save the environment. From a town of 80,000 people in Nitra, Slovakia to experiencing coffee abroad in other parts of Europe, Michal was inspired to find a way into specialty coffee. Being a roaster or a barista was out of the question. Instead, he decided to dedicate a magazine to this niche industry that he was amazed and intrigued by. Now at Issue No. 14, Standart Magazine is organized into three sections: Coffee, People, & World. 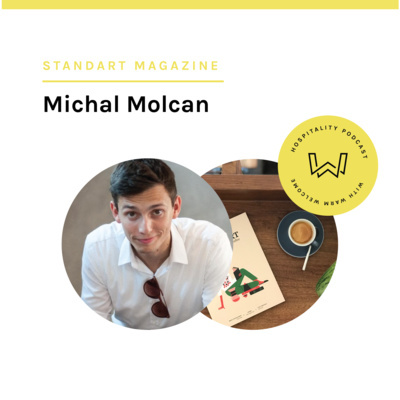 Michal shares his challenges of starting a print magazine, the importance in the ebb and flow of a magazine, to some harsh but true business lessons he's learned along the way. From her first Caran d'Ache colored pencils as a child to her first 200 sq. 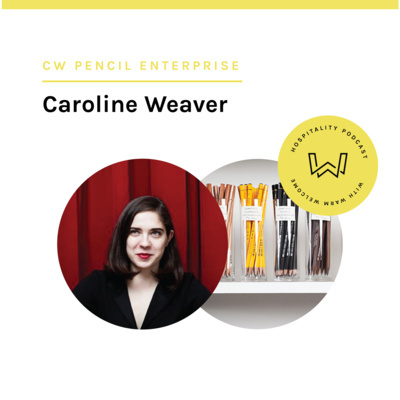 ft. store in Manhattan, Caroline Weaver's joke for many years of starting a pencil shop actually came to fruition. CW Pencil Enterprise has since then outgrown into a new space in the Lower East Side, boasting a testing station, a range from vintage to mechanical pencils, and an offering from over 50 different pencil brands. Caroline educates us on Pencil 101 -- given us a primer to the history and heritage of graphite, to her philosophy of retail in not having sales goals for employees, and how ultimately everything that she sells has to have a story to tell. 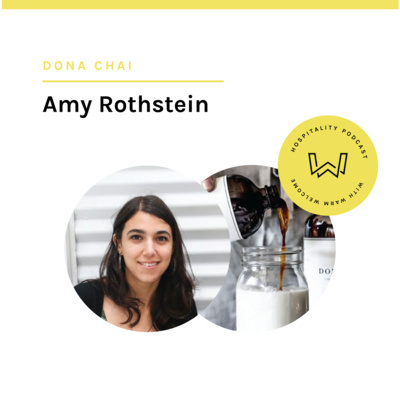 From 2 independent coffee shop accounts to now 500 - 1,000 customers, Amy Rothstein (Forbes 30 Under 30) has built Brooklyn-based Dona Chai around trust, transparency, and quality. Her uncompromising will to push out a chai concentrate that is made from real spices has inspired her to launch a new line of Spice Sodas. We converse on conducting your own spice cuppings at home to how hospitality increasingly plays a role in her e-commerce experience as well as the growing pains in transitioning from a scrappy start-up to a more systems-driven company. 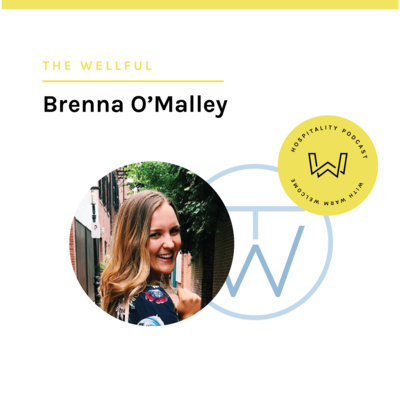 Born from a newsletter to debunk food myths; The Wellful is a nutrition health brand that helps others develop healthy relationships with food. Brenna, a native New Yorker and Registered Dietitian (RD), experienced firsthand the connection between how you eat and how you feel growing up with a gluten-free diet. We speak on how food, nutrition, and health are marketed and portrayed in the media and advertising. We tie in hospitality on topics of mindfulness and celebrating the individual as there is no universal perfect diet. 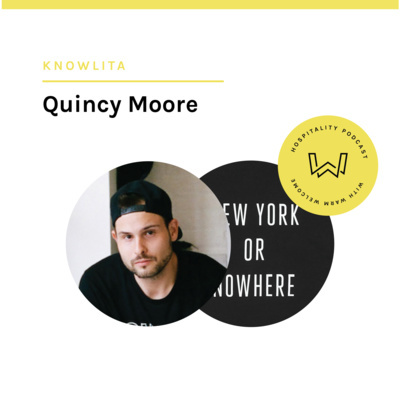 Knowlita started with a simple print of NYC street names that eventually became Quincy's love letter to New York through various apparel, merchandise, and strategic partnerships with companies such as American Express, Saks Fifth Avenue, & the New York Knicks. We speak on Quincy's philosophy on design simplicity, his passion for creating conversation than transaction, and the organic growth of the brand from counting space bars on his keyboard to NBA star LeBron James donning a "Cleveland or Nowhere" t-shirt. 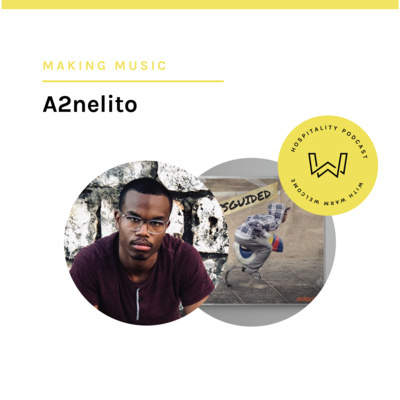 Inspired early on by film scores, such as those from the legendary Hans Zimmer to purchasing an MPC -- AJ Valcin (A2nelito) started at the age of 9, creating & composing his own music. He eventually found his calling for piano and music production. Whether its his creative process in recording voice memos to appreciating being in the present; we venture into the mind of AJ and his musical philosophy. Chefs and cameras were always around Louise's childhood growing up. 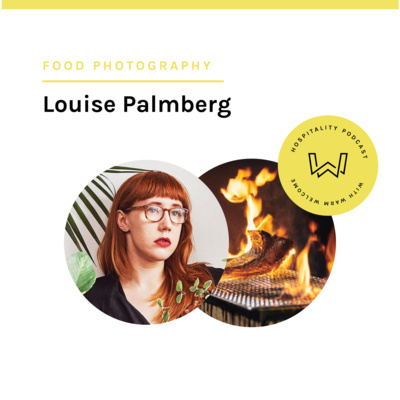 It wasn't until later during her time at SVA, she found her true calling as a food photographer. Her work is featured in numerous publications and editorials such as The New York Times, New York Magazine, Edible, and Eater. Learn more about Louise's creative process from start to finish, her passion for photography, and how she needs to be 'hospitable' to make her subjects feel comfortable in their own skin. 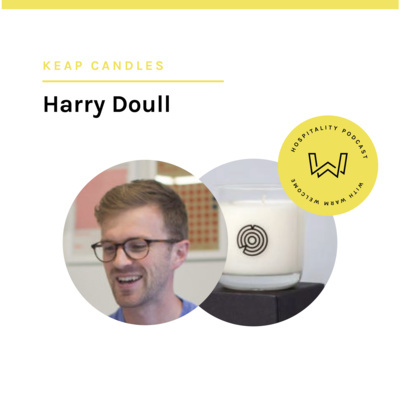 Ex-Googler Harry Doull dives into his upbringing in his family's bed & breakfast in the countryside of France to eventually starting his own company around his biggest passion -- candles. 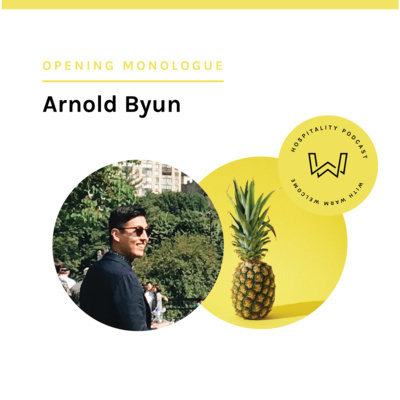 A retrospection on 2018 — and what lies ahead for a new iteration of With Warm Welcome.